In the modern world, it seems to be increasingly common for “intellectual products” to pass from one medium to another. It has long been the case that books have been turned into films or plays, but nowadays we have films that are made into games, Disney rides that are made into movies (I don’t think the Pirates of the Caribbean series can really be called “films”, do you? ), and books that are made into websites. But what about blog posts? What can they be turned into? Last week, I carried out an interesting experiment on the conversion of a blog post, or more properly a few blog posts, into the live lecture medium. Translation to a different platform, indeed. 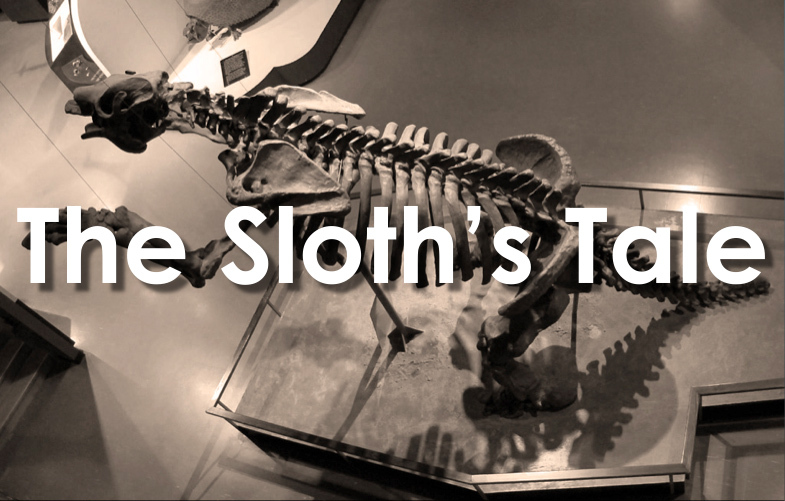 What I was thinking about mostly was the 19th Century Ward’s replica of a ground sloth skeleton, the subject of a blog post on my Museum page a while back. The sloth’s tale is a fascinating one; it is really a story within a story within a story, as it links the 18th Century discovery of the giant sloth Megatherium americanum, the invention of the skeleton replica business by the scientist/entrepreneur Henry Augustus Ward, the development of pioneering Canadian natural history museums such as Montreal’s Redpath Museum and the original Manitoba Museum of the 1930s, and finally the creation of our beloved modern Manitoba Museum (née Man and Nature). As I thought about this topic more, I pulled in bits from other blog posts about the Paris Galerie de paléontologie et d’anatomie comparée and the Redpath Museum. And of course the images had already been assembled for the blogs, so putting them into PowerPoint slides was very simple. And how did all this recycling turn out? It worked a charm, actually. I don’t think I have ever had a presentation that was easier or more fun to deliver, and my enjoyment of it may have also made it more pleasurable for the audience. After I finished speaking, they just seemed to want to keep talking about the Megatherium, the old museum, museum collections, other museums, other exhibits. The presentation merged gently and seamlessly into a general group discussion of shared topics and passions. It wasn’t because my presentation technique is particularly brilliant, but more that the right topic and story can carry almost any speaker. Giving this talk was like driving one of those unusually good cars that do so much of the work for you. Just point it down the road and push the accelerator! Wonderful post: The story, the links, the nugget of wisdom (“[T]he right topic and story can carry almost any speaker”). Glad I found you (through ArtandFossils). Linda, many thanks for that comment! I couldn’t agree more that the right topic will carry the speaker, but I would add the caveat ‘the right speaker’. Some of us don’t have this talent, regardless of the props we may have. Thanks Dave. I’m sure you greatly understate your ability in that regard! I have given a few good talks … and few I’d care to forget. But as for some folks I know … sheesh! Tales best told with a glass of wine in hand after a day spent fossil hunting.